Over the bank holiday my parents and I took a trip to visit my Grandma F. My Grandmother is one of the people who I inherited a love of baking and food from (along with my parents and my Grandma P). She also shares my appreciation for a really good place to drink tea or coffee and eat sandwiches and cake. 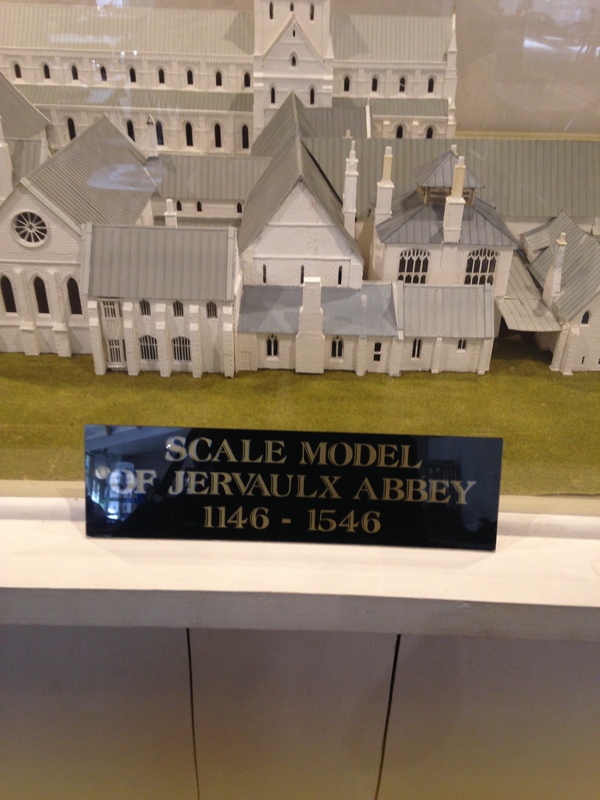 So a trip to Jervaulx Abbey Tea Rooms was suggested. Jervaulx Abbey is a 12th Century Abbey in East Witton, a village near Ripon. 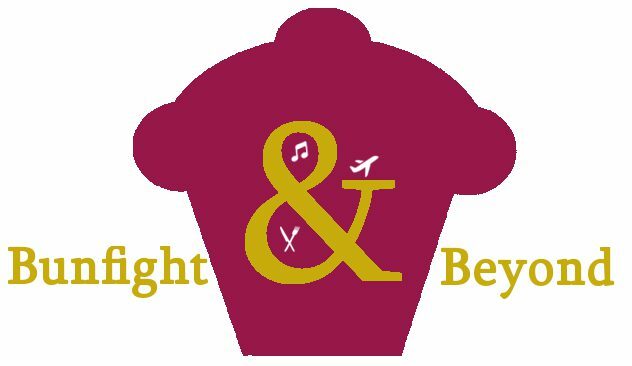 The Abbey and Tea Rooms are owned by the same family and there is a farm shop based on the tea rooms premises. Most of the produce is made on the premises or locally sourced; my mum heard one of girls working in the tea rooms tell another customer that her father grows the raspberries and spends time putting them into stuff made for the cafe or farm shop. Anyway, the tea rooms are peaceful, my grandma uses a hearing aid and its sometimes a struggle for her to hear when there is a lot of background noise, so it was nice not worrying that she couldn’t hear what we were saying. 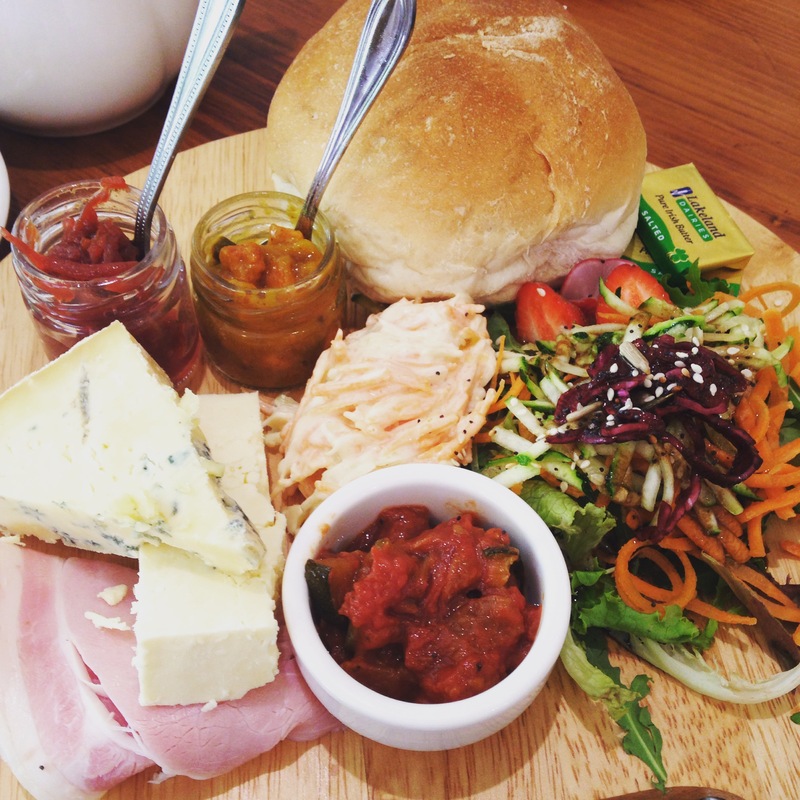 The food is decent here, I had the loveliest ploughman’s lunch made with locally made Wensleydale, ham and pickles. Everything had a relaxed feel and the Yorkshire Dales provided the perfect backdrop to it all (although to be fair the Dales are so beautiful they provide a pretty amazing backdrop to most things).